It is BLOCK season again! It has been a few months since we worked with the contestants in bringing these rooms to life. We, like everyone else always enjoy room reveal night as it reminds us all of the crazy week that was, in working through the night (literally) to deliver on time. We are always asked how do you turn your designs so quickly? The short of it is, we are very fortunate to have an incredible team of upholsterers who are willing to work up until the 11th hour and have a pretty special courier team too I might add! 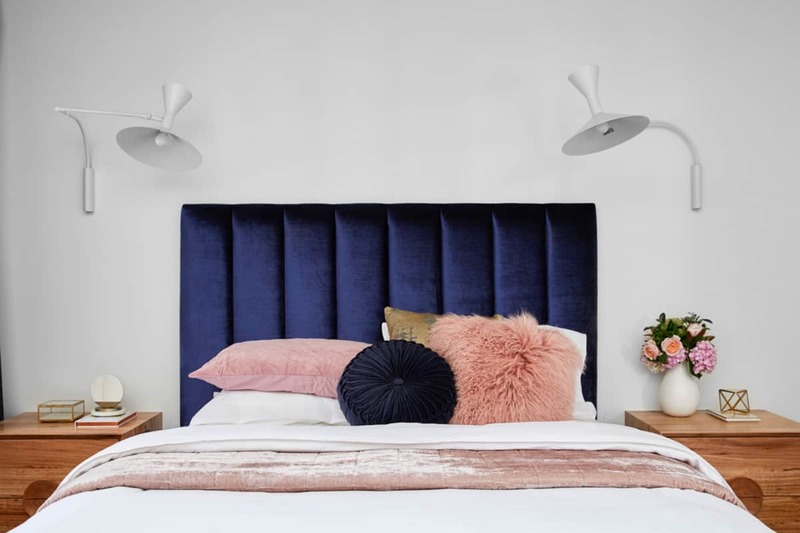 All four guest bedroom bedheads were delivered early on a Saturday morning and if you’ve ever tried to book a courier for the weekend, you’ll know that is some feat! Our first contestants to contact us were Hayden and Sara. 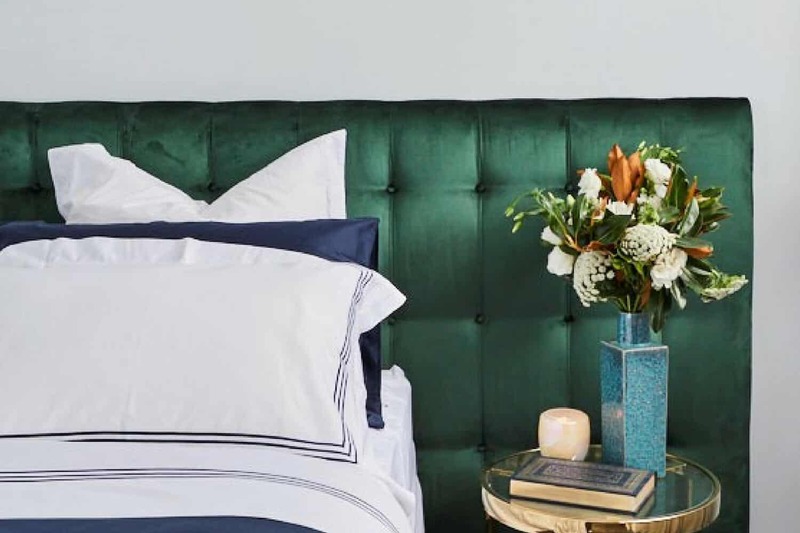 In our early discussions, Sara spoke of tapping into the Art Deco theme with our Astor bedhead and another interpretation on our Lincoln in a full bed. Sara and Hayden both met with Michelle, our Melbourne showroom manager, the week they arrived in Melbourne and went through some really exciting concepts. 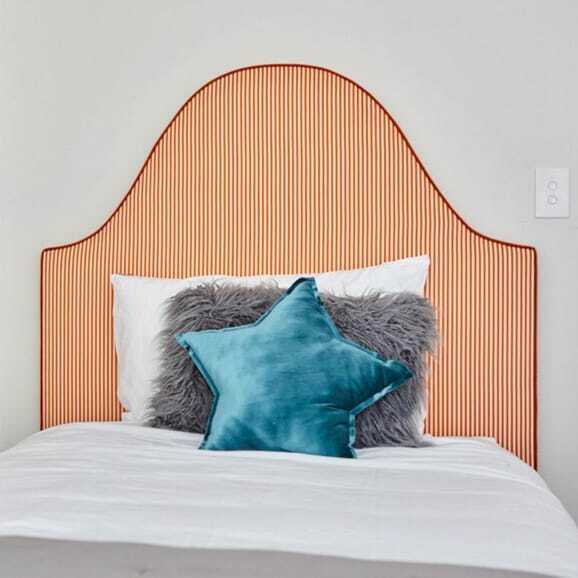 We have seen two of these designs now in the 48-hour challenge room and the guest bedroom. 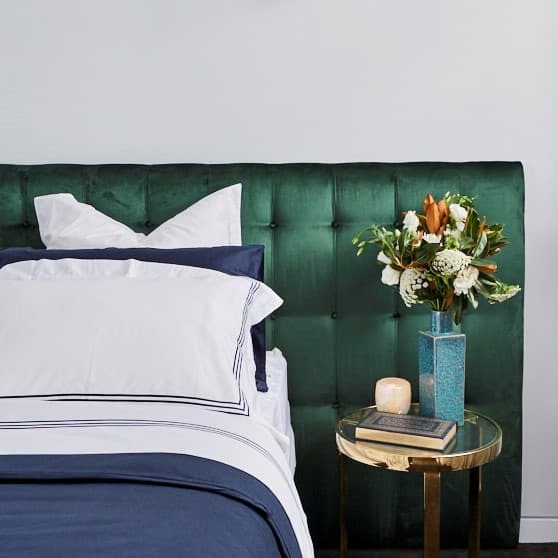 Carla did a dash out to the showroom the week of Guest Bedroom Week and chose our best-selling Ellison velvet in the Lincoln design and took a couple of cushions on the day in a beautiful teal velvet as well. We were lucky with both Carla and Sara in that we had 4-5 days to turn production around. Gorgeous Jess then put in a call on the Wednesday before Sunday room reveal. All communication with Jess was managed via text (seriously) with colours, style and sizing that would work in the room. Our wider bedheads actually do allow for power access, as you will see from this image above of the actual bedhead prior to leaving our workshop for The Gatwick. The central cut-out allows for power leads to be fed through to either side of the bed. 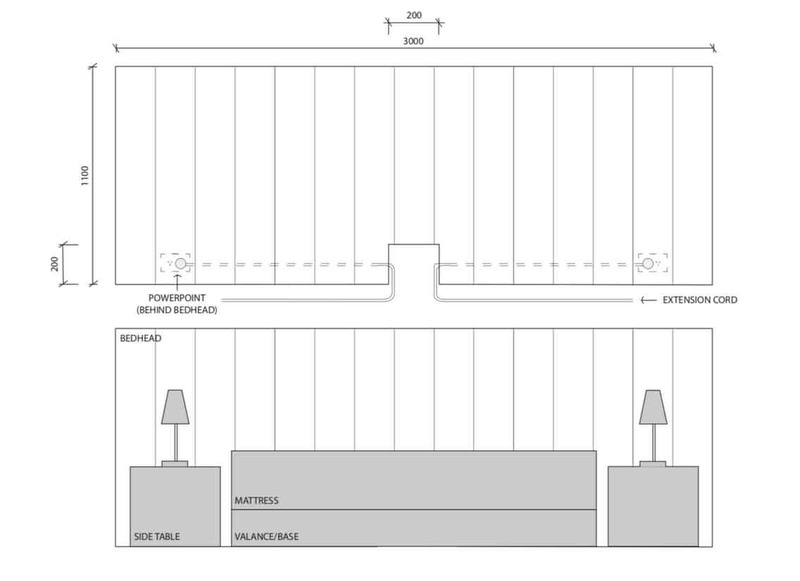 The beauty of this design is it actually hides all the ugliness of the leads and power points in under the mattress. So yes, here at Heatherly we do consider access to power, Jess and Norm were just rushed at the last hour to connect and fix accordingly. Nevermind! 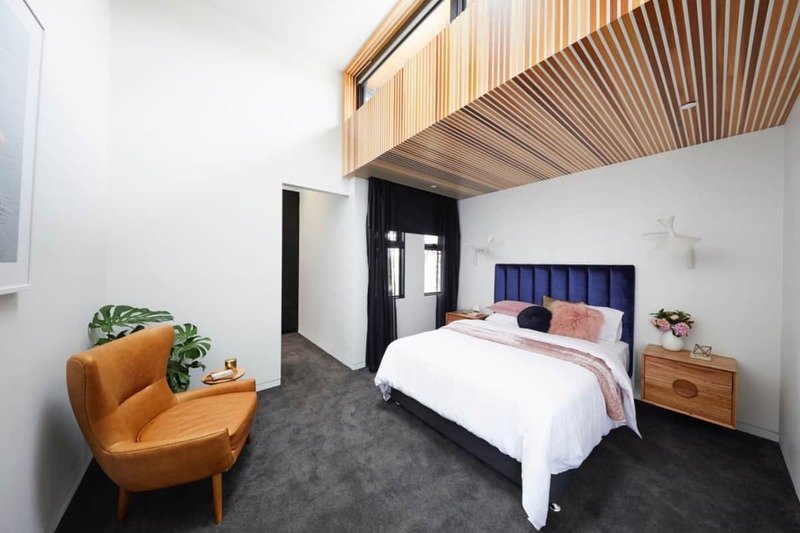 Kerrie and Spence were a last-minute addition to Guest Bedroom Week for Heatherly. Dear Carla suggested Kerrie touch base with us to see if we could help get her out of a pickle. This all happened on the Friday night so the next morning we delivered a few we had in stock for her to choose from, based on her design brief. So that was Guest Bedroom Week! 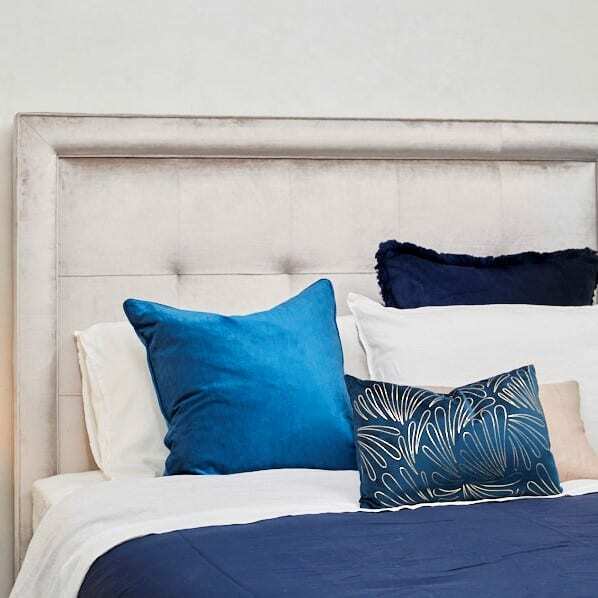 Special ‘Guest Bedroom Week’ Offer. 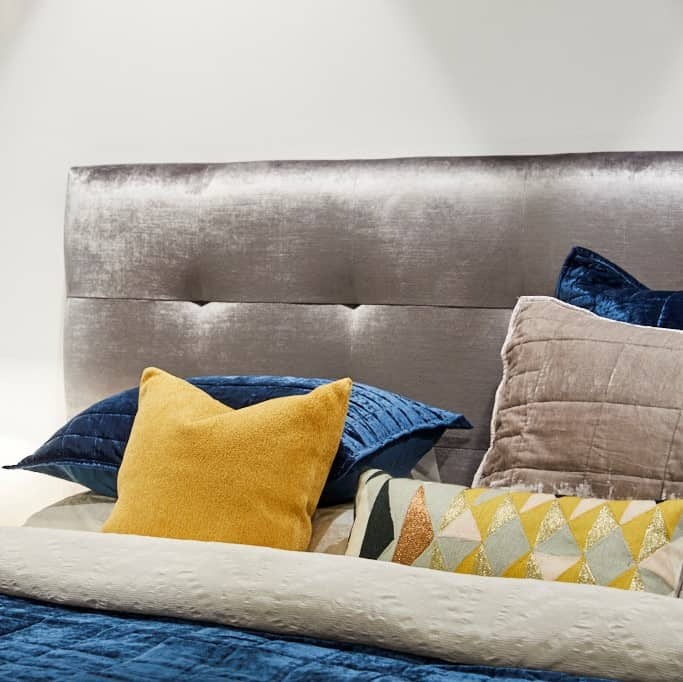 You can enjoy 10% off all four designs from Guest Bedroom Week, in the featured Geneva and Ellison velvets. Offer available until 30 September, 2018, see here for more details and T&C’s.